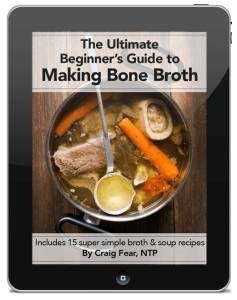 This past weekend I was testing out some recipes for my eventual ebook on making homemade broths and broth-based soups. I’ve been creating simple 3-step recipes as the book will be meant for working people who don’t have lots of time to spend in the kitchen. So I’d been thinking about a pesto soup of some type. I love making soups with pre-made pastes like tomato paste, miso and various curry pastes. A teaspoon or two added to a simmering broth instantly gives you a flavorful base from which to improvise. And certainly, pesto fits the bill as well. But I couldn’t quite come up with the right ingredients in my head. And then it hit me. 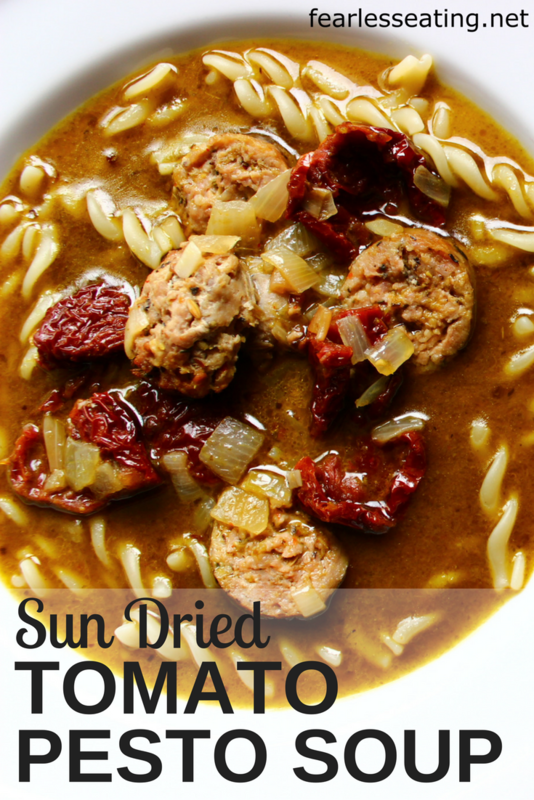 Sun-dried tomatoes. Of course! I threw in some Italian sausage to give it a meaty boost. Added some pasta (totally optional) to round it out. Let’s just say I consider this baby my personal masterpiece. Seriously, be very careful with this pesto soup. 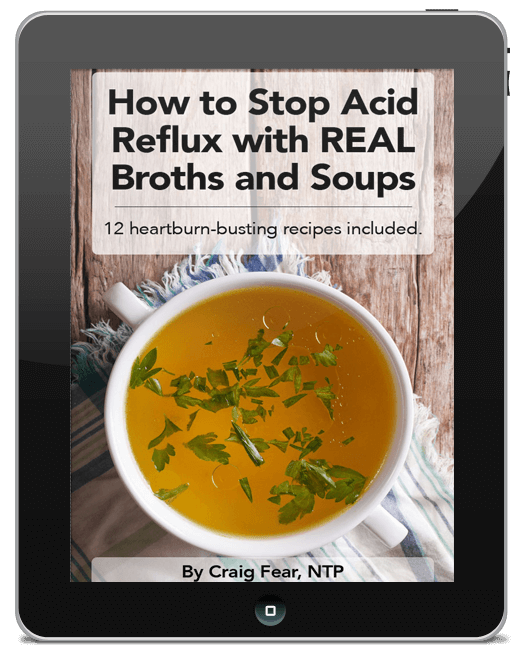 I highly recommended you only make this for yourself. It is so good that you WILL find yourself inhaling multiple bowls like some sort of strung out drug addict. Temporary nirvana will soak through you. If you do make this for others, know that all conversation will stop. OMFGs will be uttered. Heavy sighs of pleasure and rapid slurping will be heard. Suspicious glances will then start to shoot around the table. Like hungry lions with a small prey, fights may break out if there’s not enough for seconds and even thirds. 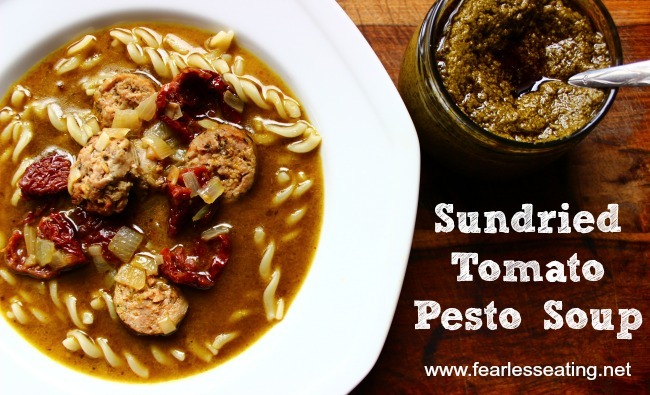 A super tasty blend of sundried tomatoes, onions, pesto and sausage in broth. Brown sausage on all sides in butter, lard or olive oil, about five minutes. Add onion and garlic around sausage and saute a few more minutes. Remove sausage, set aside and cut into rounds when slightly cooled. Add sun-dried tomatoes with garlic and onions and cook another minute or two. Add broth and simmer a few minutes. Add in half the pesto, dissolve and stir. Add more pesto as needed. I usually add A LOT! Add in sausage and simmer a few minutes until cooked through. Ladle into bowls and top with optional parmesan cheese. 1. Most health food stores will have a good quality ready-made pesto. Avoid conventional products with poor quality ingredients. 2. Play around with the amount of pesto to use. Add just a little at a time, taste the pesto soup and add more until you get the flavor you want. 3. Add any pasta you want but leave it out entirely if need be. 4. Season to taste with salt and pepper, if needed. I find there’s little need for this as the pesto usually includes it. 5. Use any type of sausage you want. I like a milder sausage as to not overwhelm the pesto and sun-dried tomato flavor. 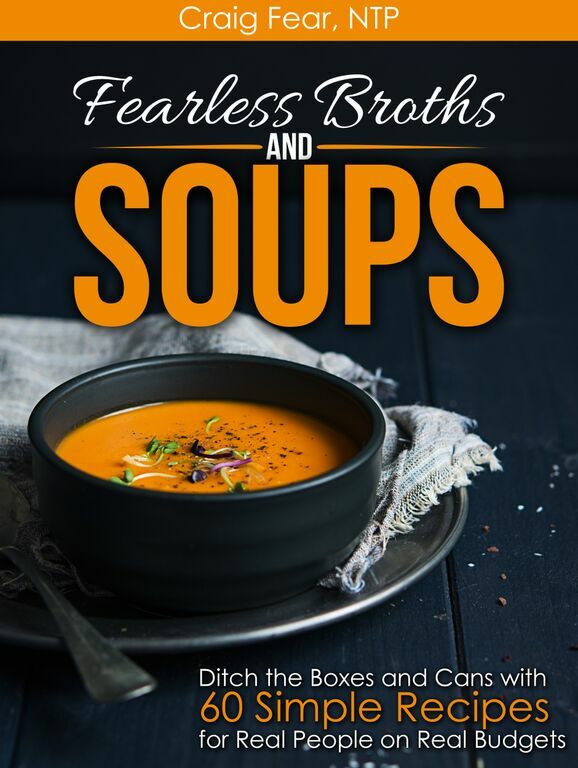 Update: My new book, Fearless Broths and Soups, is now available! The pesto soup recipe is included (of course!) and is part of the chapter on using simple and affordable ground meats in soups. All of the recipes emphasize simplicity and just like the pesto soup recipe, are laid out in 3 simple steps. They’re geared to all you stressed out moms and dads and workaholics trying to figure out how to eat well with limited funds and time.